Use machine learning to ward off known and unknown threats to your environment, and simplify security and compliance efforts. 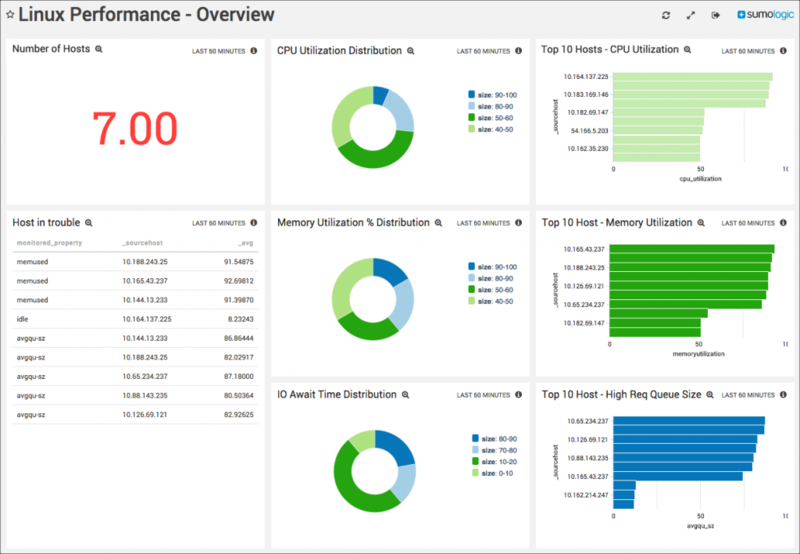 Collect logs from your entire Linux environment, including the kernel, servers, and apps, and view in simple dashboards. 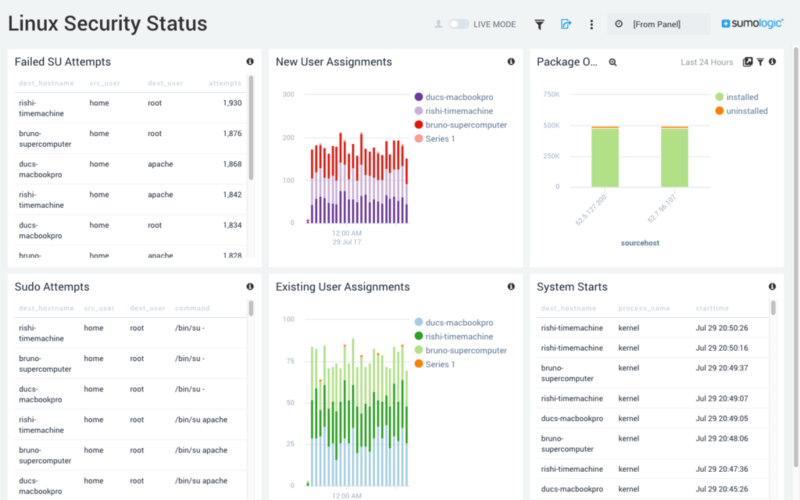 Collect and centralize logs and metrics from your Linux servers, kernel, applications, security, processes, and more. Find issues related to Linux server failures and issues and correlate Linux events with events generated by applications, security devices, networks and other IT infrastructure. Reduce time to resolution and improve uptime and reliability. Alert on access, audit, and security events on the operating system level and store all those events into a secure, tamper resistant system of record. Watch this quickstart tutorial to learn more about how to install and configure a Sumo Logic collector on Linux systems, set up log sources, and run your first search.